The York County Community Foundation Grants team uses strategic planning and collaboration to make the most of donors' gifts in our community. Working with local York County, PA nonprofits, the grants team awards upwards of $5 million in grants every year. What Types of Grants Are Available at YCCF? 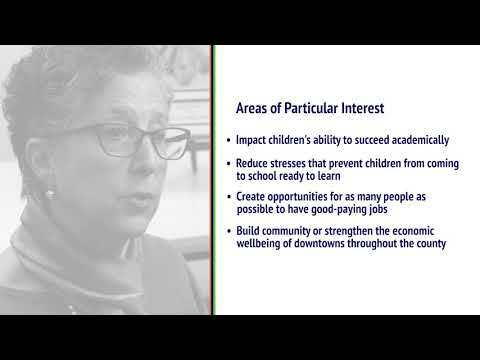 For nonprofits wishing to apply for a grant from the York County Community Foundation, this video shares the different types of grants available, and what needs YCCF can help fund. Your grant application is like a story. YCCF's grants team shares tips on how to write a successful grant for YCCF's grant programs. Foundant is York County Community Foundation's online grant application system. Learn how to use Foundant to submit a grant application for any of YCCF's grant programs, including the Fund for York County, Embracing Aging, and the Memorial Health Fund.